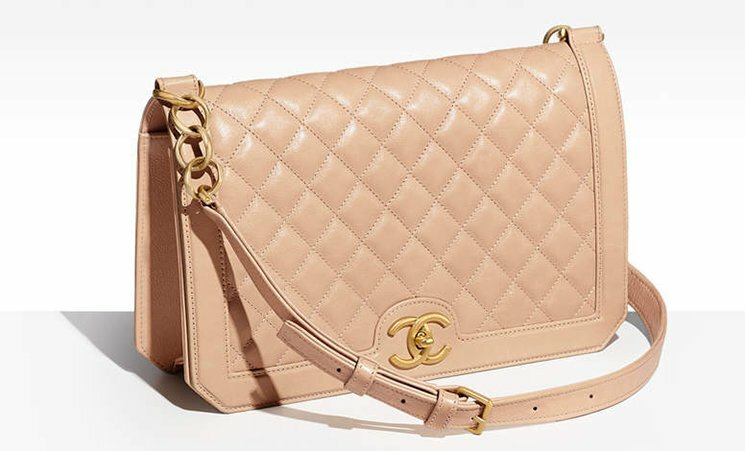 To be honest, when we first spotted the Chanel Grained Calfskin Flap Bag on the Chanel website, we were not convinced. 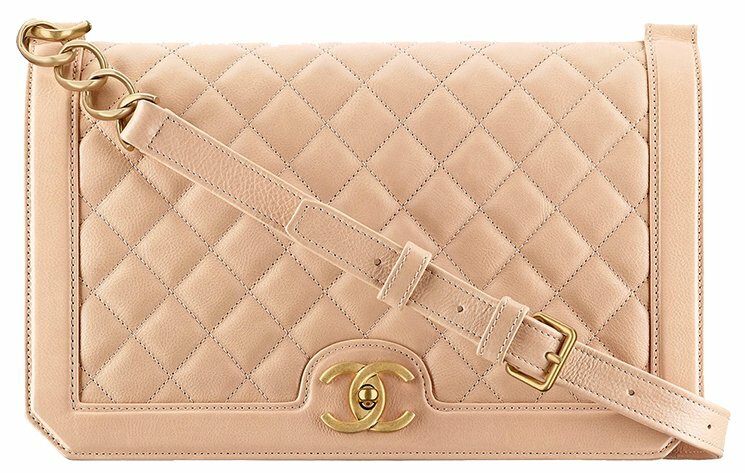 It looked like another flap bag, but this bag is much prettier in real life. The pink edition on the picture explains it all as it is worth more than thousands words. 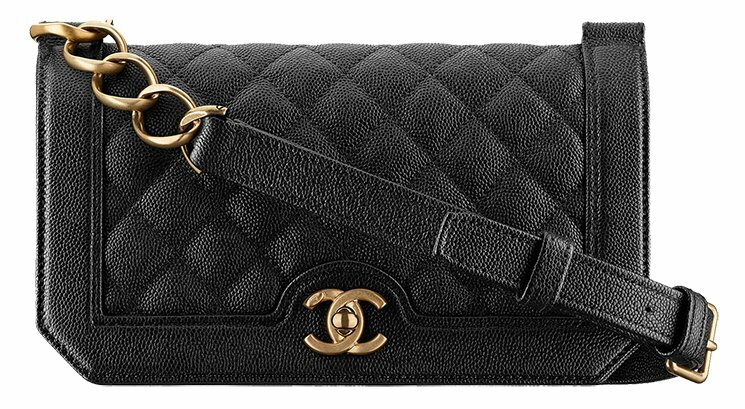 This flap bag is unique and it’s part of the Fall Winter 2017 Collection Act 1. This design is seasonal, which means that you only have one opportunity to get it. Once it’s gone, it might never return. This bag is not only new, but also unique because we haven’t met such a design before. We think the look is a combination of the boy bag and the classic flap bag with a new distinctive chain strap. 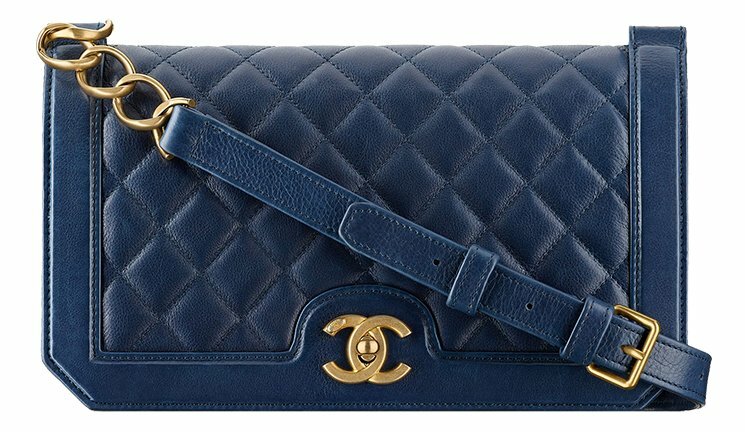 The body is really similar like the Boy Bag – the center is diamond quilted while the edges are done is smooth leather. 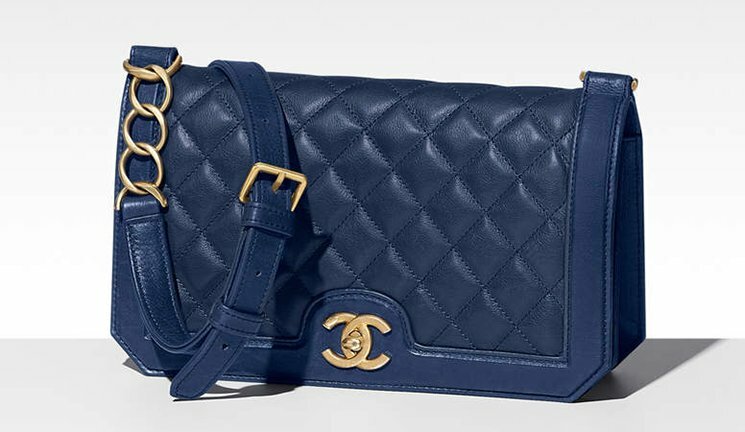 The flap bag is streamlined and looks timeless as it’s crafted with the new vintage-looking CC interlocking logo. 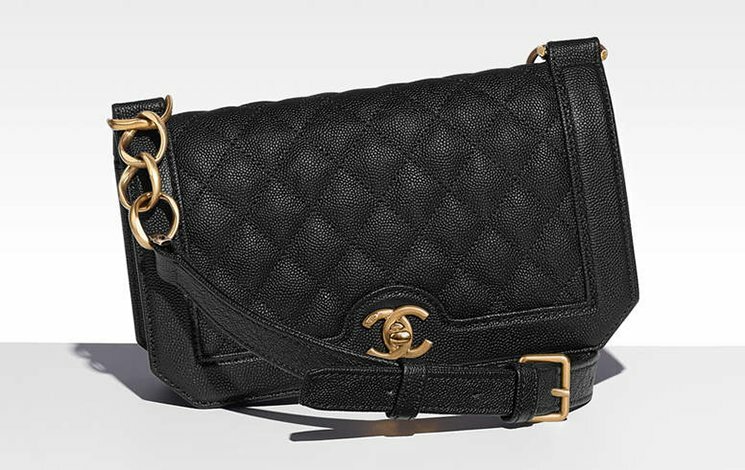 The flap bag is crafted with streamlined and tight edges (instead of curvy and round). It gives a mix feel of masculine and feminine while at the same time boosting its vintage appeal. The shoulder strap is also very unique because it’s not made with the interlocking woven chain strap that we’re used to. It’s also not crafted with the boy chain. But it’s made with big round chains (like big eyelets) connecting to each other and it looks gorgeous. The chain is finished with a adjustable leather strap for the shoulder comfort. What’s more? 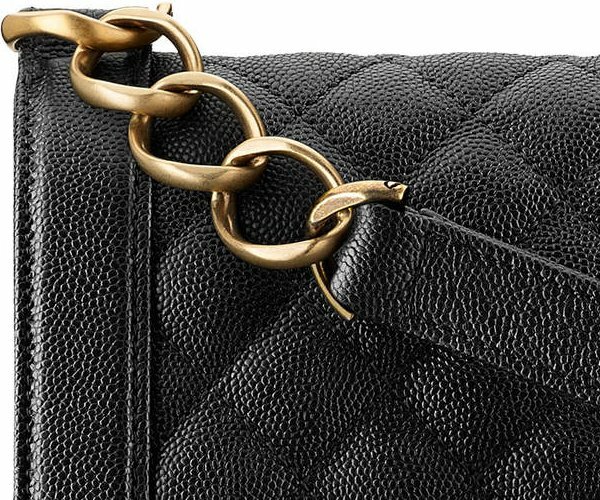 This bag is made from calfskin leather. This type of leather is durable and strong, there is not much maintenance needed. You can also see on the images that are refined with nice smooth feel. 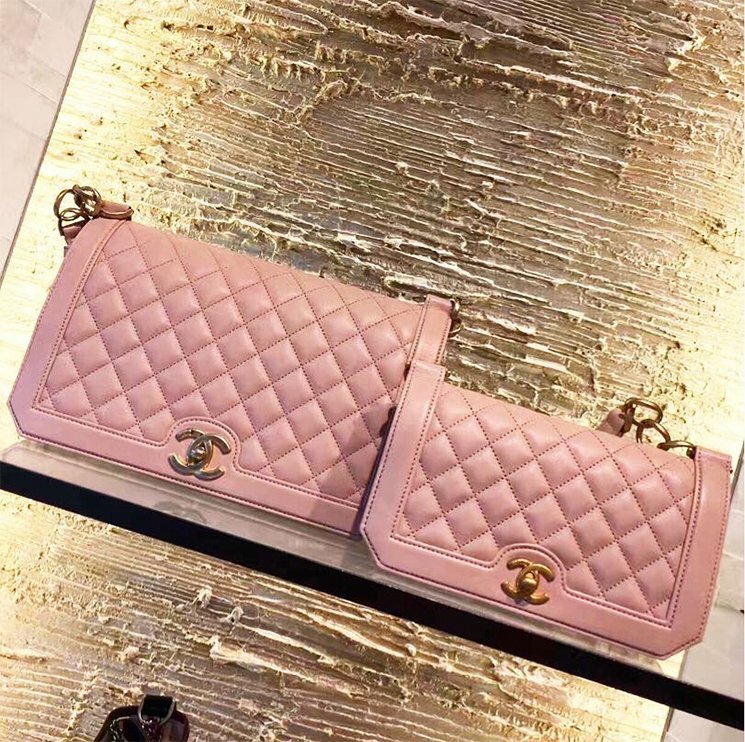 The interior is like other Chanel flap bags. When you open the bag, you will find one large compartment. 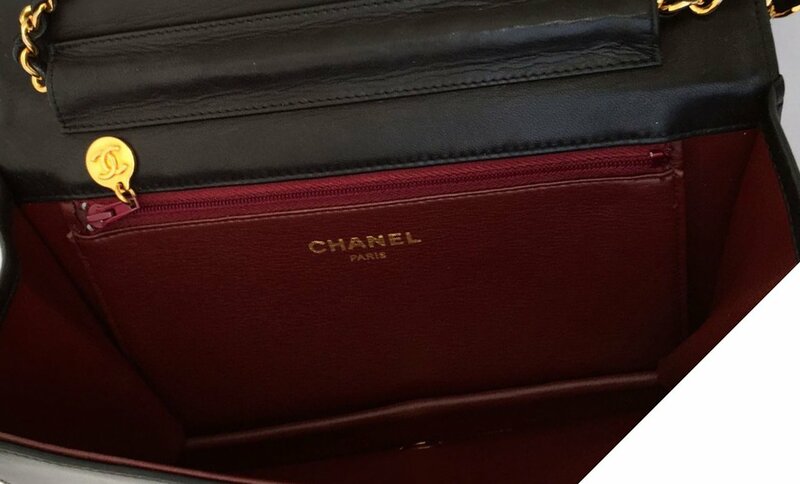 It’s also made with burgundy lining, very similar to the Classic Flap Bag. Inside you will also find a zip pocket and a patch pocket.